On October 16, 2018, Navajo Technical University (NTU) will sit center stage as Navajo Nation presidential candidates Jonathan Nez and Joe Shirley Jr. 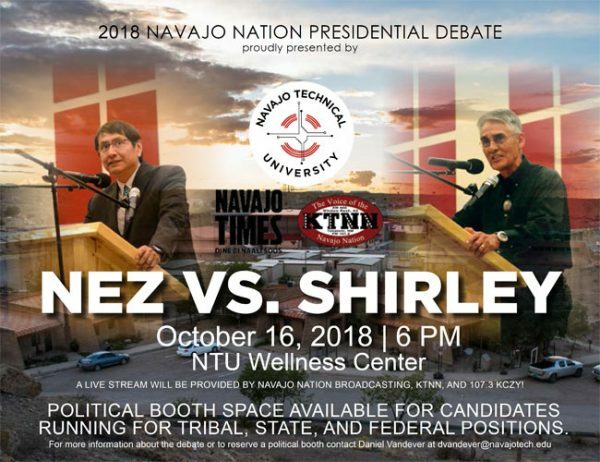 The post NTU Collaborates with Navajo Times and KTNN to Host First Navajo Nation Presidential Debate appeared first on Tribal College Journal of American Indian Higher Education. The University of Hawai`i at Hilo Ka Haka `Ula O Ke`elikōlani (KH`UOK) College of Hawaiian Language’s Kahuawaiola Indigenous Teacher Education Program received a 10-year accreditation from the World Indigenous Nations Higher Education Consortium (WINHEC). The post UH Hilo’s Kahuawaiola Indigenous Teacher Education Program Receives International Accreditation appeared first on Tribal College Journal of American Indian Higher Education. The work session will unveil NIEA’s new initiative to create a national Native Professional Educators Network (NPEN) to provide a national voice for strengthening Indigenous culture-based teacher education programs, shared practice, and models in ways that serve high concentration Indigenous communities, Indigenous immersion language programs/schools, and Native-focused and culture-based based programs/schools through four critical areas of focus. The post American Indian College Fund Co-Sponsors National Dialogue on Native Teacher Education at National Indian Education Association Conference appeared first on Tribal College Journal of American Indian Higher Education. Navajo Technical University (NTU) has been offering free gardening workshops to community members in order to increase the knowledge base in the Navajo Nation about healthy and culturally appropriate food produced through ecologically sound methods. The post Navajo Technical University Seeks to Restore Gardening Practices on the Navajo Nation appeared first on Tribal College Journal of American Indian Higher Education. 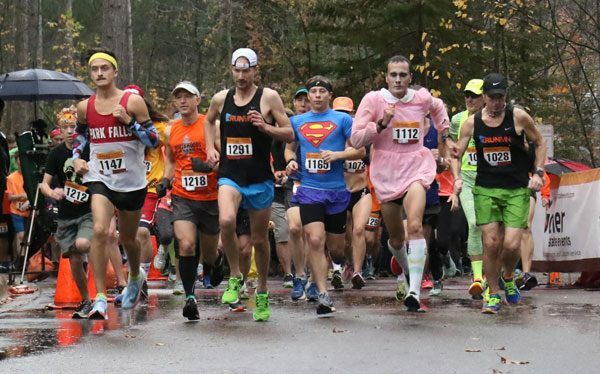 It’s time to lace up your running shoes and register for northern Minnesota’s oldest and largest Halloween-themed race! Fond du Lac Tribal and Community College (FDLTCC) will be hosting the 13th annual Pumpkin Run and Walk at 10:00 a.m. The post Fond du Lac Tribal and Community College Prepares for Annual Pumpkin Run appeared first on Tribal College Journal of American Indian Higher Education. Navajo Technical University (NTU) reached another milestone in establishing itself as a premier university in the Southwest after its electrical and industrial engineering programs received notice of approval for accreditation from the Accreditation Board for Engineering and Technology (ABET). The post Navajo Technical University Engineering Programs Earn ABET Accreditation appeared first on Tribal College Journal of American Indian Higher Education. Students from Red Lake Nation College, Leech Lake Tribal College, White Earth Tribal and Community College, and Fond du Lac spent a night in the university dorms, ate a couple meals in Walnut Hall, toured the campus and spoke to university advisers. The post An ‘Azhoogan’ to BSU: AIRC Hosts Annual Tribal College Preview Day appeared first on Tribal College Journal of American Indian Higher Education. Through the National Science Foundation's Tribal Colleges and Universities Program (TCUP), the agency has awarded $14 million in grants to four tribal colleges and universities to establish Tribal Enterprise Advancement centers with a focus on science and engineering. The post National Science Foundation Invests in Tribal STEM Education appeared first on Tribal College Journal of American Indian Higher Education. Diné College officially created four new schools as of fall 2017, and with the start of a new full semester this year officials are lauding the move. The post Diné College Reorganizes Academic Divisions appeared first on Tribal College Journal of American Indian Higher Education. Next time one of your peers is struggling, reach out and offer help. By banding and working together, we can reach our full potential. The post The Tale of Two Rabbits: A Parable about Persistence appeared first on Tribal College Journal of American Indian Higher Education. The Tribal Enterprise Advancement (TEA) centers will build upon the scientific and engineering (S&E) expertise at the TCUs to prepare the next generation of scientific professionals who will serve as the decision-makers and intellectual resources for their tribes and communities. The post NSF Awards New Level of Support for Tribal Colleges, Establishes STEM Centers appeared first on Tribal College Journal of American Indian Higher Education. More than $1 million is being awarded to Navajo Technical University to build a training center to help displaced workers from the energy sector develop new skills. The post Navajo Tech Gets $1M for New Workforce Training Center appeared first on Tribal College Journal of American Indian Higher Education. For professional cartographer Annita Lucchesi, a descendant of the Cheyenne Tribe, the loss was personal - Heavyrunner was her student at the Blackfeet Community College. The post Mapping the Missing: Cartographer Plots Disappeared Native Women appeared first on Tribal College Journal of American Indian Higher Education. Medicine Spring Library at Blackfeet Community College functions as an academic resource, community gathering spot, archives, and cultural center. The post The Challenges of Tribal Libraries appeared first on Tribal College Journal of American Indian Higher Education. Originally a community college, Diné College students are now able to obtain both associate’s and bachelor’s degrees in 16 subject areas and 20 specialties. The post First American Indian College Turns 50 appeared first on Tribal College Journal of American Indian Higher Education. 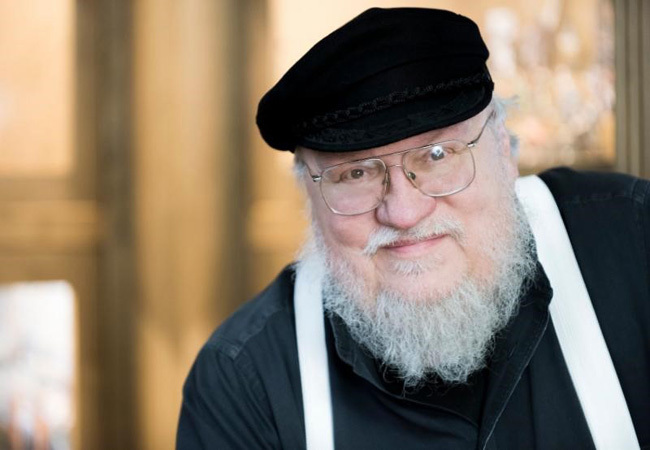 The post George R.R. Martin Launches New Scholarship at the Institute of American Indian Arts appeared first on Tribal College Journal of American Indian Higher Education. Four tribal college presidents say their institutions are trying new methods to preserve — maybe even expand — the number of people who can read, write or speak their tribal language. The post Montana’s Tribal College Presidents Share Ways They’re Preserving Native Languages appeared first on Tribal College Journal of American Indian Higher Education. Navajo Technical University has been selected to receive a federal grant to help construct a center to train students and energy industry workers. The post Commerce Department Awards $1 Million Grant to NTU appeared first on Tribal College Journal of American Indian Higher Education. Radio announcer Raymond Nakai hosted a popular radio show in the 1950s. “Navajos need their own college,” he once said. Then a few years later he was elected chairman of the Navajo Nation and worked to make it so. The post Look Who’s Laughing Now; the 50 Years of Diné College appeared first on Tribal College Journal of American Indian Higher Education. Diné College is hosting a 50th anniversary scholarship gala and student fundraiser September 22, in Scottsdale, Arizona, in an effort to assist students who have financial needs. The post Diné College Prepares for Anniversary Gala appeared first on Tribal College Journal of American Indian Higher Education.